Invisalign leads the road to straighter teeth, healthier gums, and a more confident smile. 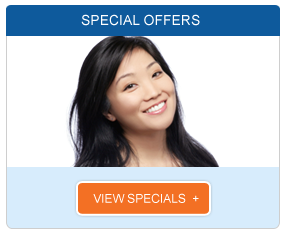 It corrects most dental issues painlessly for the same cost as traditional braces. Treatment plans vary by individuals and locations, and our experienced Los Angeles Invisalign specialist can help determine what is best for you. Straighter teeth provides more than a better smile. They also promote good oral health by lowering the chance of tooth decay and gum disease. Such untreated ailments can lead to bad breath, tender or bleeding gums, mouth sores, and possible tooth loss. Invisalign works to align teeth and correct issues like improper bites, chewing and speaking difficulties, and jaw problems. Treatments may be unique to each person, but they all follow a basic pattern. After an initial consultation with our Los Angeles Invisalign specialist, our dentist will take x-rays, pictures, and impressions of your teeth to craft your specific treatment plan. You will then receive sets of special aligners that will be replaced every two weeks. Each new aligner should bring you closer to a more perfect smile. Traditional braces can be painful and unattractive, but the removable aligners allow you to straighten teeth invisibly and without much discomfort. They have no annoying brackets or wires, and so do not trap food and make brushing and flossing easy. Invisalign are perfect for adults who want to quietly straighten their teeth. They are invisible to most people and can be taken out during special occasions. They are also great for teenagers who want a clear alternative to braces. They will not show up in photos nor interfere with sports. Parents can even ensure that their kids are wearing them with Blue Dot Wear Indicators in each aligner. 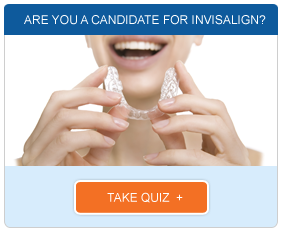 See our Los Angeles Invisalign specialist to find out if this treatment is right for you.